It’s been a while since I talked about the use of intermittent fasting as part of an endurance athlete’s training regime. 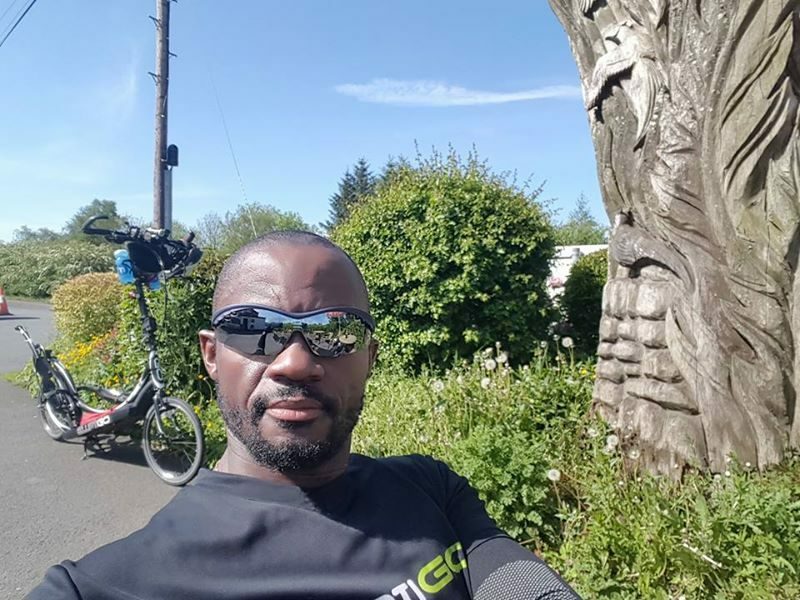 But a couple of questions from a an athlete I am mentoring (who is looking to join The ElliptiGO Ultra-Endurance Team) prompted me to share more information on this topic. Before I address the specific query which led to the writing of this article, I thought I should introduce some additional background to the practices of intermittent fasting and fasted training. As many of you know, I am a big proponent of fasted training and intermittent fasting protocols, especially for endurance training. I personally use a fasted training approach – completing all my training in the fasted state – which really means training in the final hours of a significant fasting period, lasting anywhere between 12 and 24 hours. 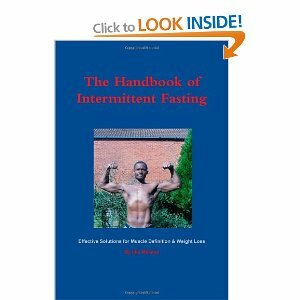 In 2009 I wrote The Handbook of Intermittent Fasting to outline the general principles of intermittent fasting for active and athletic individuals. It covers all the different approaches to the practice of intermittent fasting and if you are interested in the subject (but not well experienced in fasting practices) please refer to that instruction manual as an introduction and an initial guide. Fasted training allows for optimal development and expression of the fat burning and growth hormone production systems in your body. Fasted training allows for greater endurance training efficiency or performance – due to better energy supplies to the muscles from both internal and external sources – as outlined in Point 1. Fasted training allows for enhanced and optimised fat burning ability, which conditions athletes to use more of their stored fat – which partly helps control body fat levels and helps to optimise weight (and health). The above-listed benefits also lead to the increased storage of carbohydrates WITHIN the actual muscles themselves (energy for use during muscular activity and exercise). Fasted training allows for optimised growth hormone production levels, resulting in greater adaptation to exercise (and, potentially, a faster/better recovery from exercise). Fasted training allows for reduced insulin production and increased insulin sensitivity – both adaptations being key to reducing the risk of metabolic conditions like diabetes. Many high-level endurance athletes are known to have developed type 2 diabetes – and whilst there is likely to be a genetic link to these cases, this phenomenon is also suspected to be linked to the athletes subsisting on a high sugar diet (to fuel their high-intensity and/or high volume endurance training). Related to point 6. (above) – fasted training potentially allows for better dental health – mainly as a result of the athlete refraining from the regular sugary snacks encouraged by many sports supplement companies. Over a period of many years of endurance training this snacking approach exposes athletes to an excess of sugary food, which can result in poorer dental health. All of the above benefits of intermittent fasting will logically lead to enhanced health and wellbeing. Q. I am keen to train for a 200km Audax cycling event on my ElliptiGO elliptical bike and I have a few questions on training and diet. I have got a copy of your book on intermittent fasting and I read it with great interest. It’s different from the protocols I am used to, but I am happy to give it a try as part of this endurance training project. A. Regarding intermittent fasting, I am a big advocate, as you know, but IF is by no means necessary to achieve a 200km ride on the ElliptiGO. I find that most of the really successful long-distance guys seem to have drifted into using fasted training protocols – much like I do – but I have not actively encouraged any riders I know to do so. They appear to have gravitated towards it once they heard about it – probably for many of the reasons outlined above – and possibly because it seems like an intuitive thing to do if you take ultra-endurance training seriously. My own feeling is that it helps to do the longer training rides during a fast. Partly because eating sports nutrition products regularly, over the long term, is really unhealthy as the years go by (just think about eating snack bars and drinking energy drinks on all your training rides – and what that does to your teeth, diabetes risk, etc, over a 20 year period)? That is probably my main issue with not fasting in training. It is not just about weight management, although fasted riding will generally help you control your weight better. It is a good idea to look at fasting practices for general health and weight maintenance, as well as for fitness and endurance training. Based on the calculations given in your book, my ideal/goal weight is 11st 9lbs. I am that at the moment, but I know I know I am carrying some visceral fat and when I am at a competitive weight I am nearer 11st 4lbs. I don’t know my specific body fat%, but I will check that. Is this interpretation correct, so far? Q. I think I would prefer the Daily Fasting with Eating Windows option for intermittent fasting. So if my wife and I normally eat at about 6.00pm then my 5 hour eating window could be from 1.30pm to 6.30pm. Is this correct? Q. Prior to 1.30pm I can eat 5 portions of fruit (each portion being less than 100 calories) but preferably have at least 2 days a week of full abstinence during the fasting period? A. This is correct. But I think for such a short fasting period you should aim to go zero-calories in the fasting/calorie restriction period. I covered all intermittent fasting options in my book because I wanted it to cover the full spectrum of possible approaches (and there are many people who need those ‘low entry points’ for psychological reasons) but I strongly believe that zero-calorie fasting (from when you wake up, until 1:30pm) is not onerous for the vast majority of people (certainly not for athletes) and is not difficult for anyone to get used to. It is considerably more beneficial to have the body in a ‘pure’ (zero-calorie) fasted state, than doing light snacking in the calorie restriction (‘fasting’) period. Q. During the eating window, can I eat as much as I want (but choose healthy options)? A. This is not correct. For a person who uses a ‘tight’ intermittent fasting ‘eating window’ (i.e one meal a day) this is probably true, because one meal a day can never get you over your daily energy needs as an athlete) but for an eating window from 1:30pm to 6:30pm you should use that as calorie-restriction ‘assistance’ and aim to eat all your normal meals within that period – with a bit more control than someone who eats just once a day needs to exert. For instance, if you currently eat 3 or 4 times a day, from waking until bedtime, you can have those same meals in the restricted intermittent fasting eating window. You are already able to get by on those meals for a whole waking day, so by ‘squeezing’ them into a 5 hour period you now have the option to ‘tidy up’ a little. So if you are slightly overweight you can ‘trim down’ the size of those meals and that small change is usually enough to lose the excess weight. If you are not starving when spreading those meals across a 12 hour window, by simply cramming them into a 5 hour window you will be even less hungry between meals – and, thus, able to restrict calories a bit more than you would actross a 12 hour eating window. By starting to eat at 1:30pm (instead of 7:30am) you will not actually be any hungrier, once you have done this for a week or two. So your body gets used to the longer fasts and your appetite becomes the same as it was when you didn’t fast. It is all about working with your appetite-control mechanisms, but your general psychological approach is also key to success. Much of the benefit of fasting practices is the breaking of the hold food has over people, a hold that sets in due to ‘societal training’. Once that hold is broken, any new set of expectations can become established. The last thing to be aware of is the need to flex your approach to diet and exercise. Every 3 or 4 months you may want to change the fasting plan, because many people adhere well to new eating patterns for a limited time period before letting their guard down again. The changes need not be big. It can be as simple as flexing the length of the eating window on different days (say 5 hours on one day and then 7 hours on the next) – or ‘tightening it up’ and doing 3 hour eating windows, instead of 5 hours. You’ll know when to make the changes because your adherence starts slipping over a meaningful period of time and your weight starts to increase again due to ‘violations’ of the dietary plan. That’s when you need to make changes. But as long as it is working well – and your goals are being met – just go with it. Q. I normally train in the mornings and was wondering about the implications fasting until 1.30pm (and not refueling immediately post-workout). I will obviously be missing the 30-minute optimum post-training window if I do this. Is there anything I need to consider with reference to this? A. Regarding morning training, it is fine to eat immediately after. What you would then do is use longer fasts on your non-training days. If you exercise every day you really should find at least one complete rest day, when no training is done at all. On that complete rest day do a 20-24 hour fast (between your last meal of the previous day and your first meal of the next day). If you have 2 rest days a week, then do that twice. On the training days be sure to control how much food you eat. The ‘other way around’ it is to fast ‘in the other direction’. That, in reality, means eating your last meal of the day early – and having an eating window that starts after you exercise in the morning. If it is an 8 hour eating window being used, the last meal of the day should be 8hrs after you exercise (with the first meal of the day being immediately after the exercise session). If it is a 5 hour eating window being used, the last meal should be 5hrs after you exercise (with the first meal of the day being immediately after the exercise session). Generally, start with the longer eating window and then reduce it by an hour or two each week, monitoring the effects and using your goals as the guide to how much restriction you require to meet your fat loss goals.